Media Blasting is a great way to remove old paint and rust from parts prior to our in-house powder coating. Media blasting not only removes rust and surface contaminates, but it also gives the metal a fine texture which allows the powder to better adhere to the metal for even more strength. 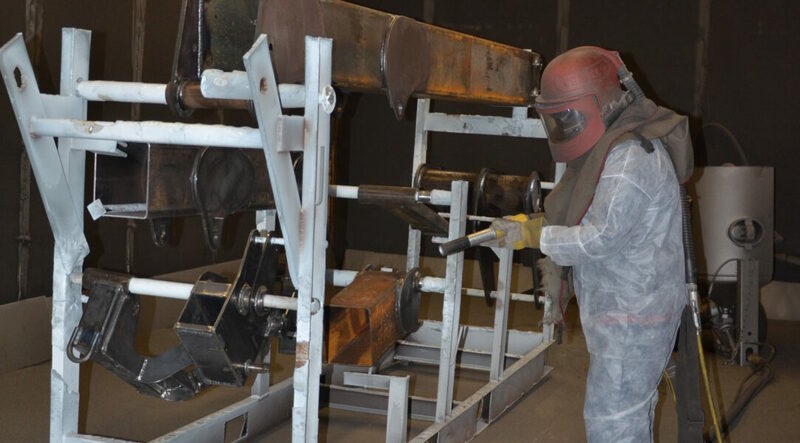 All of our media blasters work on roughly the same principles: finely ground steel grit media is used to clean and abrade a surface, typically metal, of any rust, paint or other unwanted surface contaminations. This is done by means of an air-powered pressure gun that fires out the media at high velocity to impact with the intended surface. Once completed your media cleaned part is now free of contaminations and ready for the finish application or restoration to begin. Material Manager The WellMark Company, Inc.